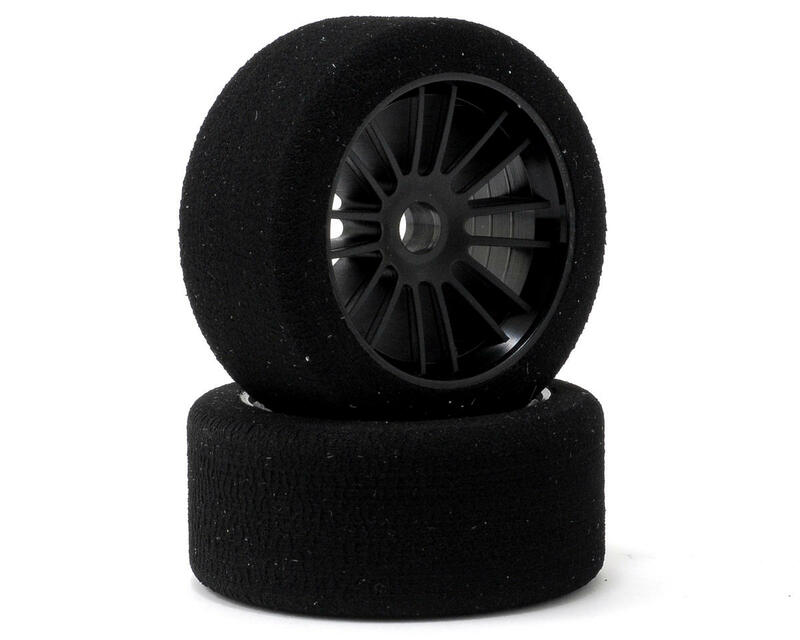 This is a set of two Xceed RC "Enneti" World GT Asphalt Compound Front Tires mounted on black carbon wheels. 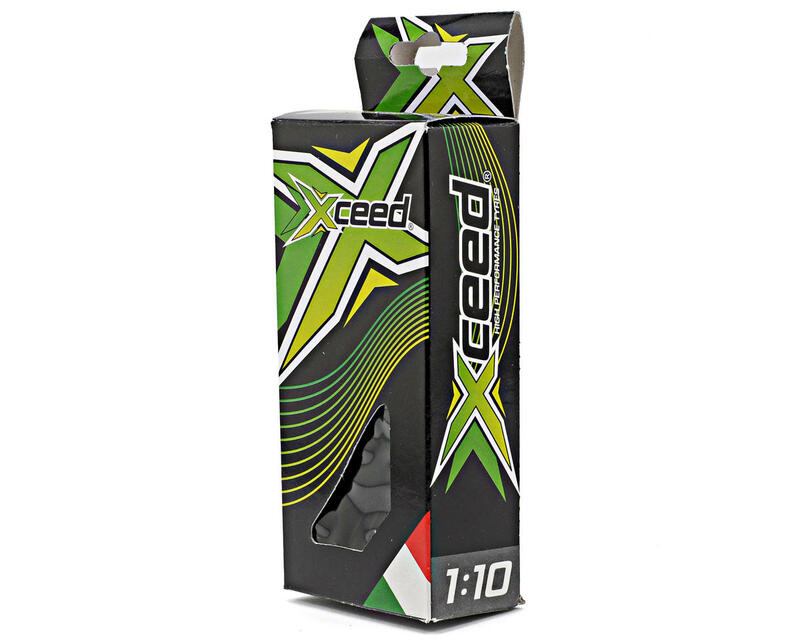 Xceed R/C tires are made in Italy by Enneti, one of the most respected names in on-road racing tires. These tires are made from the highest quality materials to deliver consistent performance, lots of grip and impressive wear characteristics. These tires are available in 30, 35 or 40 shore compounds, and have been pre-mounted on super strong, lightweight black carbon wheels that feature a twin six spoke design to increase the rigidity, while remaining lightweight. Note: These wheels require two bearings to roll on the front axle, they do not use an axle hex.